This is the very first photo of me. 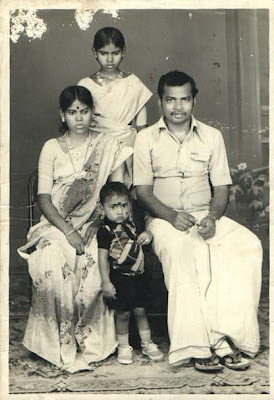 The one who's sitting are my parents, Arumugathai.C. and S.Chinnappa. I'm that one year boy who's standing in front. My brother is still unborn (around 4-5 months). The one who's standing behind is my mother's sister, Naagani.C.